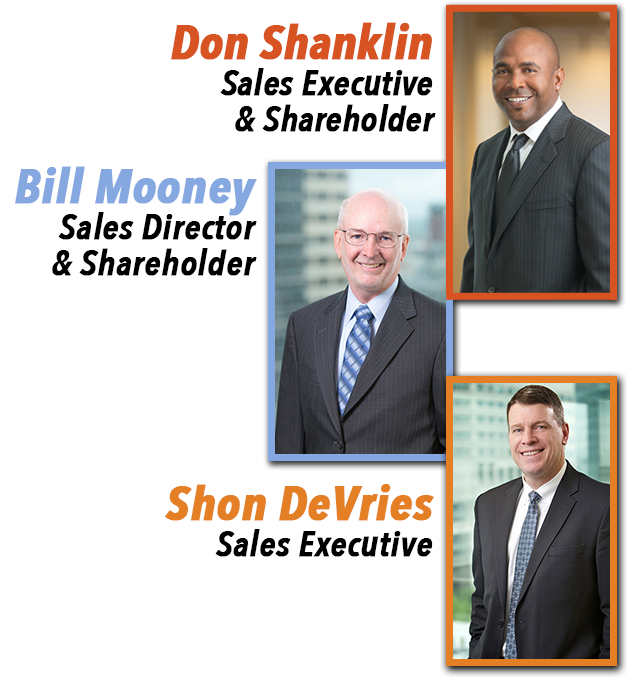 Come see Don Shanklin, Bill Mooney, and Shon DeVries from Propel Insurance speak on common questions to ask when assessing the risk of an insurance policy for a loan. Learn the nuances of general liability, market rate deductibles, and how to properly value business personal property assets. Understand the needs of the insurance agent in order to add the bank or borrower to the policy for a loan close and learn potential risks to the bank. Audience questions are encouraged! Don Shanklin is a sales executive and shareholder at Propel Insurance. His focus is Commercial Insurance and Surety Bonding with an expertise in HUD Closings and working with Minority-owned businesses. Meeting new people all the time and really getting to know them and understand how to help their business thrive is what fuels him every day. Bill Mooney is a sales director and shareholder at Propel Insurance. With over 34 years in the commercial insurance business, Bill is a true jack-of-all-trades and master of many, including property and casualty, workers’ compensation, mergers and acquisitions, management and sales. He is proud of Propel’s leadership in the industry and willingness to invest in the “above and beyond” services such as in-house claims, loss control and risk management to better care for the insurance needs of clients. Shon DeVries, in his twenty-seven years in the insurance and risk management field, has been an underwriter, insurance broker, corporate risk manager and risk management consultant. As an insurance broker, Shon has consulted on insurance programs for over $40 billion of project values on over 60 large projects over the past 15 years. His experience with project risk planning and assessment for complex construction projects and contractor businesses includes the design of both traditional and alternative risk management programs, wrap-ups, contractor-owned captive insurance companies, contract formation, risk allocation, risk mitigation systems analysis and construction claim resolution.